Which property iphone app has the greatest intelligence? If you are out and about viewing property then the Iphone GPS functionality is a useful tool, not only does it tell you how to get there, but once your there it may even reveal other properties around the corner of the very location you love. 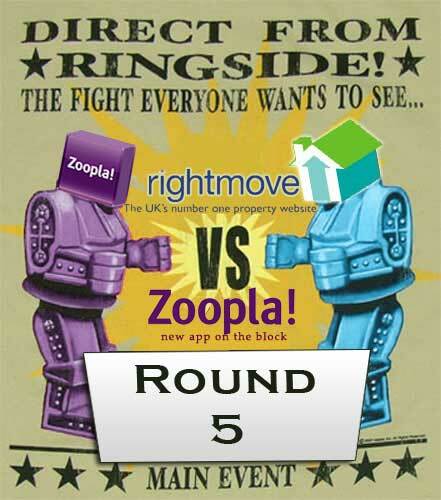 So we know Rightmove uses GPS intelligence but does the Zoopla app use it? Yes, Zoopla app utilised the iPhone’s GPS functionality and gave me property for sale and rent in and around my current location incredibly quickly and intelligently as is seen in previous rounds. What about market value? Or trends in the market. This is where Zoopla seems to go ballistic! It knows the average property price of a postcode area. It even estimates any property, though its estimates are pretty broad. It gives prices of property that has sold in recent years. Verdict: Zoopla won. Although they both use the built in GPS location, Zoopla has a great ability to predict the worth of any property and give its last selling price. That’s a fair bit of intelligence for a small app. Please feel free to comment below if you disagree or agree with our verdict.